After leading Ottawa Fury FC to a Fall Season title, and its best season in the club’s early history, Marc Dos Santos has been named 2015 NASL Coach of the Year, the league announced Wednesday. In his second year in Ottawa, Dos Santos and his team used a strong back line and excellent goalkeeping to set a host of defensive records. An incredible run in the second half of the season, which included losing only once in the last 25 matches, allowed Ottawa to host a match in The Championship Semifinals, where the club defeated Minnesota United, 2-1, in extra time. The Montreal, Quebec, native became the first coach in Ottawa’s history when he took over the club in the summer of 2013 before its inaugural season the following year. The club has posted a 22W-17D-18L record in his two seasons at the helm. Dos Santos began his coaching career in 2006 with Trois-Rivières Attak, which originally served as the Montreal Impact’s academy team. Dos Santos then took over the first team in 2009 on an interim basis before coaching the team full time up until 2011. He then coached youth teams in Brazil - Primeira Camisa and Desportivo Brasil – before linking up with Fury FC. 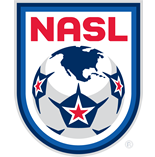 The NASL Coach of the Year award was voted on by media and fans, and Dos Santos joins Ricky Hill (Tampa Bay Rowdies – 2012), Brian Haynes (Atlanta Silverbacks – 2013), and Manny Lagos (Minnesota United – 2014) as winners of the award.